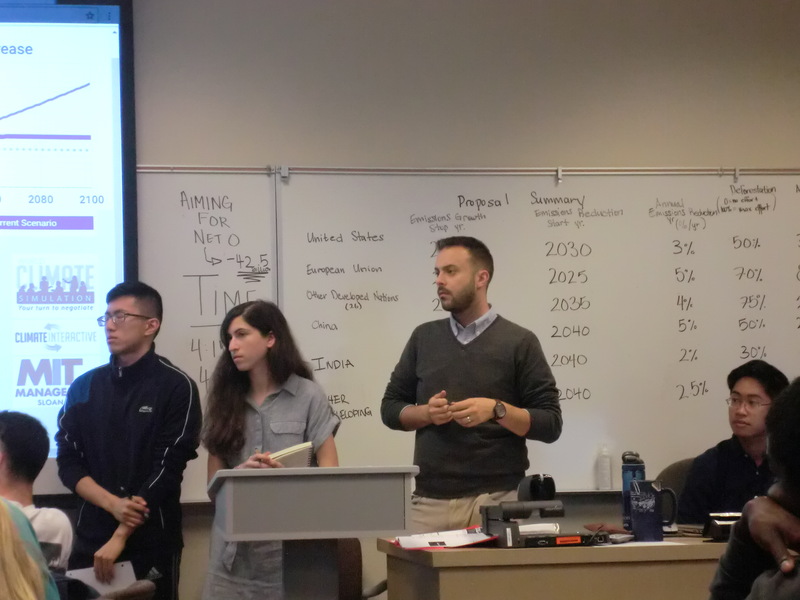 Parties to the Emory World Climate Summit reached a landmark agreement on October 25 in Atlanta, making great strides to address the global climate effort. 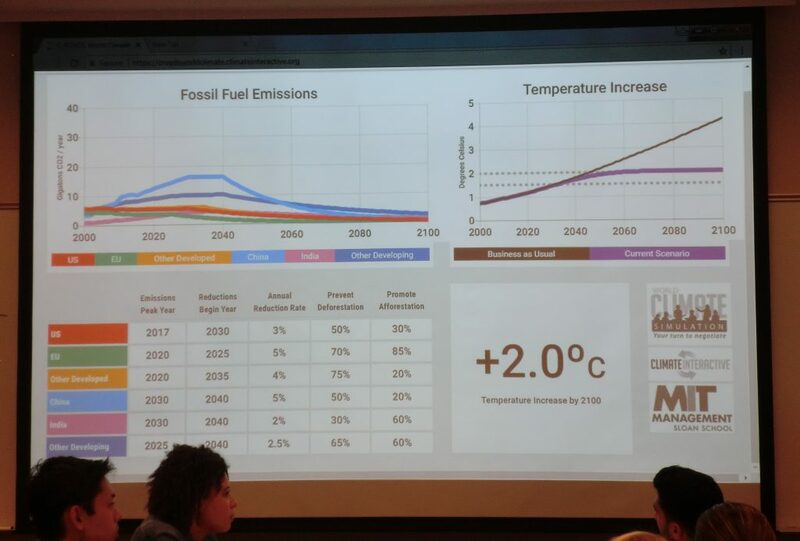 After three hours and two sessions of negotiations, the six blocs settled on an agreement that will limit global warming to 2ºC above pre-industrial global temperatures. In the first round of negotiations, blocs stuck close to plans they had set coming into the COP talks. Little collaboration occurred between the countries, but they were still able to set a goal of 2.3ºC. Unfortunately, most countries did not contribute to the Green Climate Fund, which is worrisome to India and the bloc representing other developing countries. 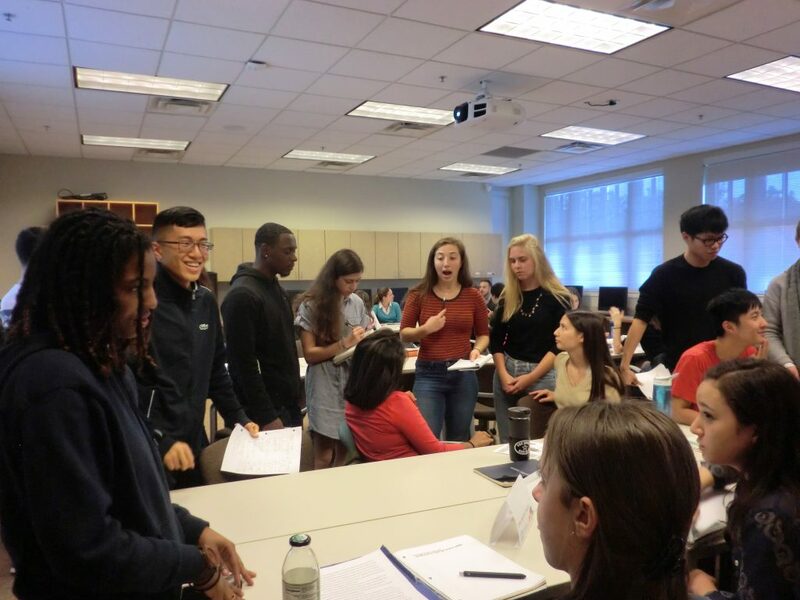 The second round of negotiations showed blocs collaborating and forming alliances with each other, even if they deviated slightly from their original plans. An emphasis was placed on expanding the Green Climate Fund, although it unfortunately was still not enough, as the fund fell short by 42 billion dollars. The blocs established the goal of 2ºC, but without money from the Green Climate Fund it is unclear how the other developing countries bloc’s goals will be impacted. The interplay between groups added a fascinating element to the negotiation process. Particularly interesting was differing goals between the U.S. federal government and U.S. cities and states. Cities and states contributed double to the Green Climate Fund and set more aggressive emissions reduction goals, while the federal group was all too happy to let them take on the bulk of the work for climate action. Much of the interaction revolved around China’s role in the negotiations. China described itself as a developing country that should receive assistance similar to countries like India, while most of the delegates argued that China is well on its way to being developed and is close to passing U.S. GDP. The U.S. attempted to strike goals with China to encourage them to contribute to the Green Climate Fund. China stayed to their original plan of no contribution, preferring to trade technology with other developing countries without any questions of how money would be used. The non-country roles add to the negotiation process. Fossil fuels lobbyists, often responsible for large portions of funding for the climate talks, attempted to work with the other developing countries bloc, offering increased support if they align with the fossil fuel industry. Climate activists worked closely with the EU and other developed countries to set sanctions on the U.S., which unfortunately were introduced in the last negotiation round and unable to be explored fully. Overall, this simulation offered unique insight into the climate negotiation process. A large part of the outcome hinged on the decisions of key players including the U.S., EU, and China, which reflects real-life negotiations as well. The other developing countries bloc did have a voice in the negotiations, but often only in so much that it helped another country look good and suit their needs. 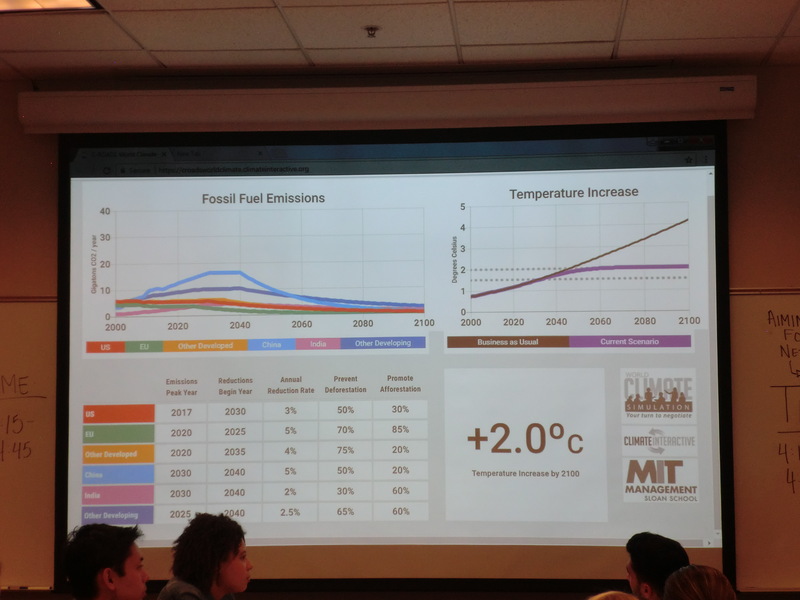 This simulation demonstrated the delicate balance that must be achieved between countries to make limiting global warming to a 2ºC increase a possibility. Decades ago, the tobacco industry claimed that smoking was not correlated to health issues and that nicotine was not an addictive drug. Today, we acknowledge the opposite conclusion and view smoking negatively. It sadly took 50 years to arrive at this decision, simply because of the confusion and doubt that tobacco companies fed to the public. With the “tobacco is healthy” myth debunked, it seems that industry leaders have latched onto a new topic about which to sew doubt amongst the public—climate change. 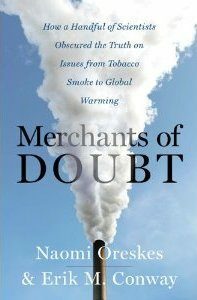 The 2014 documentary “Merchants of Doubt” based on the book by Naomi Oreskes and Erik Conway seeks to connect the public with the facts behind the climate denial movement. The film presents that scientists have been aware of climate changes since 1988. Yet 28 years later we are still debating whether or not climate changes are occurring, and if those changes are a result of human activity. A major claim by climate skeptics is that there is not enough scientific evidence to back up climate change. 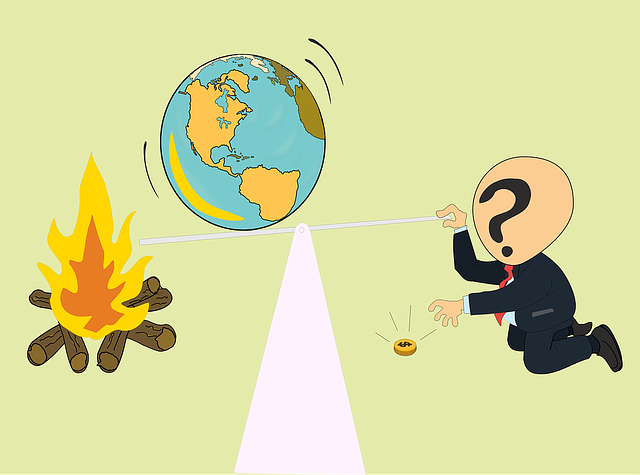 The reality is that 97% of scientists believe climate change is occurring, and 87% think it is due to human activity. And there is a wealth of supporting scientific research. But as was observed with the tobacco industry, if you confuse the public they will lose their own opinions. Unfortunately, the disconnect between public opinion and science leaves an opening for critics to sew further doubt, enough to create a skeptic. The film points out that climate skeptics represent only a small sample of the population, and they have an economic interest in the continuance of climate change. These skeptics frequently are members of organizations that serve as fronts for the oil and coal industry. These organizations operate for profit, not for environmental protection. So climate skeptics prefer to bend the world to their opinions rather than loose revenue by admitting to scientific evidence. 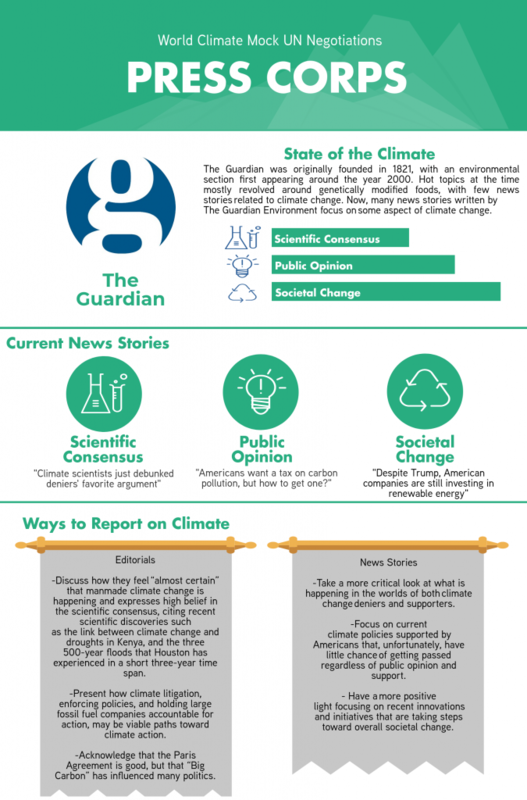 Climate change is often improperly portrayed in the media. In order to present both sides, interviews usually include a climate supporter and a climate skeptic facing head-to-head. The same climate skeptics are featured repeatedly in the media, and climate supporters are usually scientists. Both people have credentials that without further investigation seem to be important and relevant to the issue, leading the public to believe that both sides have credibility. Seeing both perspectives side-by-side leads the public to be unsure of which to trust more, thus creating public divide. Only 50% of the American public believes that climate change is occurring and that humans are the cause. 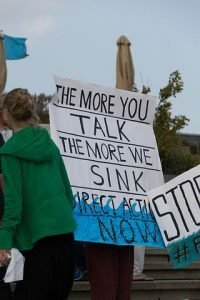 The urgent matter is to find ways to overpower the voices of the skeptics to show the other half of the country that climate change is an issue affecting them now. This road is not easy. As shown in the film, many prominent climate scientists receive death threats because of their work. Protests for environmental justice are often shut down. One scientist was arrested three times during protests. The same occurs today, as with the protests at Standing Rock. At this moment in history, our lives are being dictated by a select few who want to risk the planet for their own gain. If these merchants of doubt can be exposed for who they really are, and if the public works together to address this global issue, deniers would quickly lose the climate war. And just as the public has been enlightened to the dangerous impacts of smoking, so too can the world understand the dooming impacts of climate change.